Is it weird that 2014 is almost over? Remember a couple of years ago when we were all wondering if the Mayan calendar was going to be right and that the world as we know it would cease to exist? How weird would that be…I mean, to have lived in a world with no Friday Fixes? Hey, speaking of the Friday Fix, guess what today is? In this week’s Fix, we look more at what not to do as you round the corner into 2015 (you’ll recall that previous pundits have posited predictions for the New Year). We also delve into ways to think about and to address some of storytelling’s more prominent challenges. Though there’s less than a week left until the big day, the holidays –and the lessons we can learn from holiday content campaigns, are far from over as Taylor Mallory Holland points out. In this piece, Taylor breaks down the winning tactics in three sentimental, emotionally gripping marketing campaigns. If you’ve never been asked to write something that touches audiences, take it from me, it’s hard because you always run the risk of missing the mark and coming off cheesy. Good storytelling is hard, and if you don’t think so, then you’re either a Jedi Master or you’re not getting it. Brad Kuenn (and I) respects the challenges in being able to tell a truly engaging story. Brad goes into greater detail on having a clear purpose and audience, but he also highlights the importance of learning from the masters. Who’s told a great story lately that resonated with you? Why did it stick? How could it be better? What can you get out of it? The more you read good stories and read about how to tell good stories (see this article for example), the more quickly you will become a master in your own right. To clarify where she’s going with this piece, Marla Schimke subtitles her mobile-media focused piece “Brand publishing isn’t in a decline; it’s in a golden age.” Do tell. Even in the past five years, as Marla points out, we’ve become infinitely more mobile-centric (guilty as charged). She points out that branded content is well-poised to enjoy glory like never before –provided it uses the mobile vehicle property. Curious? Read on to see how to get in on the gold rush. Unlike in cooking in which the secret ingredient is always wine for the chef, the secret ingredient in content marketing –according to Brett Relander, is a little more complex (though possibly equally intoxicating…well, the success part is anyway).Sure, you should have a content strategy (recipe), but how good is that recipe going to be if it’s not documented? Will you remember your measurements for your ingredients or even what ingredients you use? As one who often creates undocumented recipes, I assure you the answer is going to be no. For whatever reason, Tim Asimos’ list of six things to abandon in 2015 makes me want to assume the position of a frightened woman in an old black and white ‘40s film because they’re all horrifying whether it be the myth that one must be “all or none” on social media use or that content marketing equals SEO. In this piece, Tim analyzes the flawed line of logic and then discusses the approach you should take (sort of an “eat this, not that” but for content marketing). For some reason, the title of Robin Bonn’s article reminds me of the commercial about the Cheez-It cheese needing to “mature.” Thinking of content marketing in a similar light, Robin reviews how content marketing grew in 2014 and then explores ways that it will further mature in 2015. If these predictions are to come to fruition, then I’m all for content marketing changing its name from Kitty to Karen and trading its MG for a white Chrysler LeBaron. Let’s say that you’re just getting started in content marketing or the wheels are turning, but you’re not gaining traction yet. This short, easy read co-authored by Doug and Polly White is just what you need. They sum up some of the soundest advice that’s been provided for how to approach content marketing in 2015 including writing down a plan. Content Marketing vs. Stuff Marketing: Do You Really Know What You’re Doing? According to Karen Webber, this lack of confidence among content marketers isn’t because they aren’t sure they know what they’re doing; it’s because they’re a bit overwhelmed. Content marketing is multidimensional, and it’s important to understand each facet to get it right. As a solution, Karen offers some logical tips that will at least give you the confidence to keep you pushing ahead and to keep your confidence-o-mometer rising. BOO! Happy Friday Fix-oween! Prepare to feel treated as we give you the best of the best from this week in content marketing. In addition to a couple of Halloween-inspired posts, we share how you can take advantage of the content marketing goldmine that is the holiday season; we also bring you the dirt on content marketing’s blooming relationship with social media (it’s getting serious, y’all). We’ve also got a couple of tricks up our sleeve, like as you read, you’ll be engaging in a game of “song lyric roulette” where you have no idea which song will end up stuck in your head when you’re done! Muahahaha! Happy reading! Social media and content marketing go together like ramalammalammakadinga da dinga dong. Why? Because, as Venchito Tampon tells us, social marketing supports the living daylights out of content…it’s what Barbara Hershey was to Bette Midler in Beaches…it’s the wind beneath its wings because of the way social media amplifies content. It helps it fly…fly…fly high against the sky…. Once you get that song out of your head, read the post and see what the changchangchangittychangshoobop is all about. To Venchito told us why the thing between content marketing and social media are the best pairing off of 2014 (sorry, Ashton and Mila), but Brad Kuenn gives us another important element, which is how to make this power couple work for you. He explains going beyond Facebook and Twitter, mobile optimization, and other clever approaches that rule. Remember when it was the summer of ’99 and The Blair Witch Project was scaring the bejeebus out of everyone? (That summer seemed to last forever.) But, really, remember how huge it was? Well, John Rooney remembers and more importantly, he’s done the legwork on analyzing not only how and why Blair Witch was so riveting but also how you can incorporate some of their key budget-friendly tactics into getting your audience right where you want them(cue Vincent Price’s maniacal laughter). It’s Halloween, so we’d be letting you down if we didn’t try to scare you at least a little; hence, we are sharing Verónica Maria Jarski’s visual stroll down the boulevard of broken content marketing dreams. Here are some of the horrifying facts that lead straight to content marketing purgatory. As many as 48% of marketers don’t have a documented strategy (scream), and only 60-70% of created B2B content is actually used (blood curdling scream). Are you nailing closed your own coffin? Read to ensure this lonely road isn’t one you’ll ever know. Holidays are a veritable gold mine for content marketing campaigns, so if you missed making Halloween part of your action plan, get on board with Thanksgiving in November. After all, November isn’t just about the big meal, it’s also about Veteran’s Day, bowl games, and Olympic-level shopping. If you’re not sure how to get a piece of the pie (content marketing, not pumpkin, that is), take notes from Armando Roggio’s post. Um yeah, so speaking of the holidays, we realize they can get really hairy leaving you with very little time to produce the quality of content you want to produce (as illustrated on the world’s best circle chart by Chuck Sharp in this very important read for the time-deprived). The solution?No, it’s not skip repeat after you lather and rinse; it’s curate (good advice! ), and Chuck provides seven tips for getting it so right, you’ll have time to repeat guilt-free. So, we know you’ve heard that new Panda 4.1 algorithms are going to shake things up (much the same way an actual panda in your office would), and if you’re not sure how or how to approach the changes, then consider this short, easy-to-read article by Warren Knight your information in shining armor. As mentioned in the previous article, quality is going to be essential to pleasing the Panda. In this piece, Dan Virgillito not only mentions the Panda, he mentions the Penguin and how quality content simply goes the distance with bringing in and satisfying customers. Think of it this way: link building is the sprint; content marketing is the marathon. Which race are you running? It simply isn’t enough to have a social media presence; you have to interact via social media in a way that makes your audience feel like you care (because you really do care!). Needless to say, it’s not a one-size-fits-all kind of world, and Massimo Chieruzzi gets that, which is why he’s offering up some really solid guidance on how you can sincerely interact with your audience via Facebook. If content is king, then why can’t it wave its magical scepter and solve all of your marketing problems (why!?)? Well, as Fernando Labastida explains, content marketing is not a magician, at least not one that works alone. You have to do some of that leg work, much of which involves getting to know and understand your customers like you know and understand your own friends and family. You can’t see it, but I’m totally doing my Friday Fix dance right now. This week’s Friday Fix is a little longer than usual, so fill up your big boy coffee cup before sitting down to check it all out. There’s a lot of good stuff out there that we had to bring to you from making the most of the hottest types of content (images and videos) to going global to how to avoid mouth-breathing on your audience. Lists, videos, infographics, guides…all of these (and more!) have different content marketing super powers that everyone can tap into (being bitten by radioactive arachnids no longer required). Brad Kuenn details how to access your inner Spidey sense for knowing when, how, and why to use each of the 10 content types highlighted. Did you know that blogs that have images attract 94% more views than blogs that lack images? Did you shout, “Holy outreach, Batman!” like I did? Before you start loading your site with shots, see what Jayson DeMers has to say about the different types of images, when they’re best used, and how to label them. Also, just in case you were this close to uploading your Instagrammed bathroom selfie to start generating that traffic, he also shares economical resources for quality stock images (because quality is key). Coming this 2015 to a mobile device near you: branded videos. In this grippingly relevant post, Krystal Overmyer reveals how mobile video hype is outstripping prime-time television. The masses are running –not walking—to defer to online video. In a world where you want to stay relevant, feed the frenzy with branded video. So, you’ve decided to get on board with this whole “content marketing” thing that everyone’s talking about, but now you’re at a crossroads: do you DIY, or do you outsource the work? Derek Miller lays out the pros and cons and even breaks down the costs of forming an internal content creation team. Content marketing can often feel like a rat race; as soon as you’ve set your pace, it’s time to speed things up because if you don’t, you’re going to get lapped. Susan Esparza breaks down Scott Brinker’s insight on content marketing’s next wave for staying ahead: interaction (but you don’t have to touch anyone…that’s creepy). Content! Content! Content! It’s all you hear, right? But, that’s because content is so important. You’re crying into your coffee because you’re busy and creating killer content takes real effort. Jon-Mikel Bailey points out that many defer to what’s quick and easy (packing in keywords) and forgetting about the rest, but if you Keep Calm and Focus on Quality Content, then you’ll be leaps and bounds ahead of the curve. You’re at the store and a staff member compliments your hair then suggests a product that enhances your glorious natural beauty. Helpful, right? Now imagine they run their hands through your hair and breathe on their cheek while doing so. You’re calling security, aren’t you? Anytime your efforts to personalize your marketing encroach on a client’s personal space, you may as well be sitting outside of their house in a windowless van with a pair of binoculars(So creepy…and not in a fun Halloween kind of way). Check out what John Timmerman says on avoiding accidentally going from being “helpful pal” to being “blocked from newsfeed”. 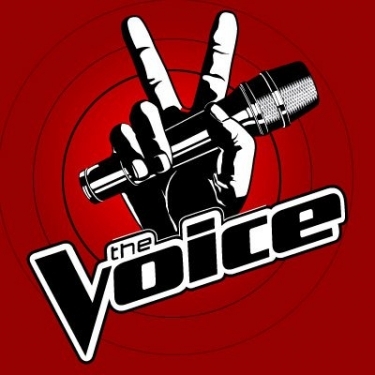 What Does ‘The Voice’ Have to Do with Content Marketing? On NBC’s “The Voice”, singing contestants are chosen to be on a judge’s team through a blind audition process. We agree with Nicole Jenet that the way you approach your content marketing strategy should be the same way “Voice” hopeful approaches their performance. Your personality has to shine through in your talent, and you simply must pick the right content for your brand. After all…if Gwen Stefani’s you’re target audience, you wouldn’t be trying to lure her with your best “Hillbilly Bone”, am I right? If you think about how many varieties of Coke and McDonald’s burgers there are around the world, then you get an idea of the scope of what a global content marketing initiative is up against. According to Rebecca Lieb, by dividing your brand’s globalization diversification into teams, tools, and channels, you can effectively go global. Speaking of globalization, Gina Hall outlines how the Marriott is following in internationally-recognized brands footsteps, Virgin and Red Bull, to create globally branded content using webisodes. Not only is Marriott providing a great example of launching a global content strategy, they’re doing it with videos (see, we told you that mobile videos are more “now” than fried bacon was yesterday…wait, what?). If you have children, then you don’t need me to tell you just how much Lego is winning right now. Between the film appealing to adults and children, the timelessness of the product, its simplicity, the underlying message of creativity and innovation, and the branding –the endless, endless branding, is there anything Lego isn’t doing right? Hats off to Kylie Wakefield for not only explaining Lego’s content marketing leaps but also what you can learn from their mega-success. Just because you’re a little guy doesn’t mean your content marketing strategy can’t have a big impact. Jessica Kornfield gives tips for writing (even if it’s not your forte) and for creating sharable content by exposing why people share. Actually, this is really sound advice for everyone regardless of what size fish you are in what size pond.